Very Good. 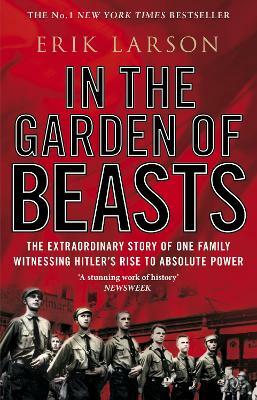 In The Garden of Beasts: Love and terror in Hitler's Berlin by Larson, Erik, 2012-06-03. B-format paperback. 592 p.
Good. B-format paperback. 592 p. It's Berlin, 1933. William E Dodd, a mild-mannered academic from Chicago become America's first ambassador to Hitler's Germany. Dodd and his family, notably his vivacious daughter, Martha, observe at first-hand the many changes-some subtle, some disturbing, and some horrifically violent-that signal Hitler's consolidation of power.